Varex Imaging Corporation is a world-leading innovator, developer, and manufacturer of X-ray imaging component solutions, which includes X-ray tubes, digital flat panel detectors, software, and other key components of X-ray imaging systems. With a 65+ year history of successful innovation, you will find our components in countless medical, industrial, and security imaging applications worldwide. Varex Imaging (as Varian Medical Systems) was the first company in the world to deliver amorphous silicon flat-panel detectors capable of both fluoroscopic and radioscopic digital imaging. Varex’s X-ray flat panel detectors for digital radiography work by converting the X-rays that strike its surface into light, and then turning the light into electronic data that a computer can display as a high-quality digital image. Our flat panel detectors combine the best in amorphous silicon sensor panels, radiation-converting materials, low-noise analog and high-speed digital electronics, custom ASIC control and processing electronics, and compact packaging. 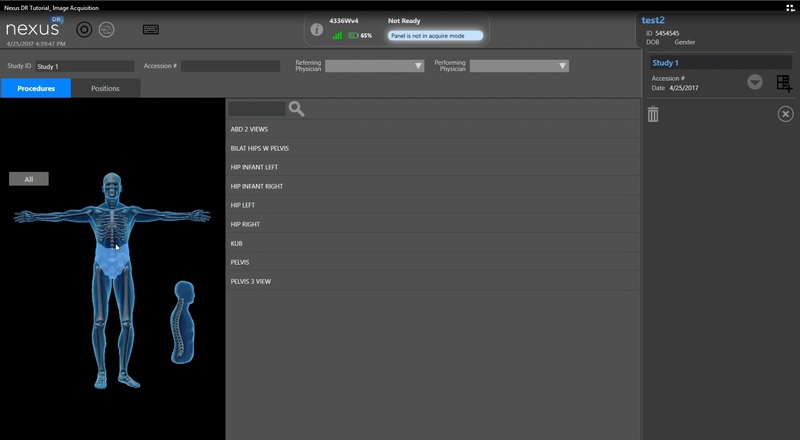 All Varex Imaging Medical DR systems are powered by Nexus DR software. 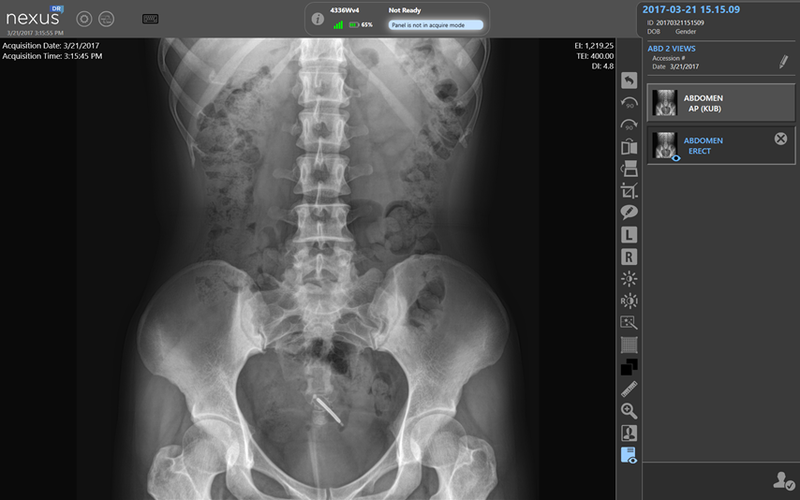 Nexus DR™ is an advanced digital image acquisition software that drives XRpad and PaxScan DR solutions. It was designed to automate patient workflow, providing a trouble-free solution with advanced image processing algorithms for optimal image quality and excellent reliability.